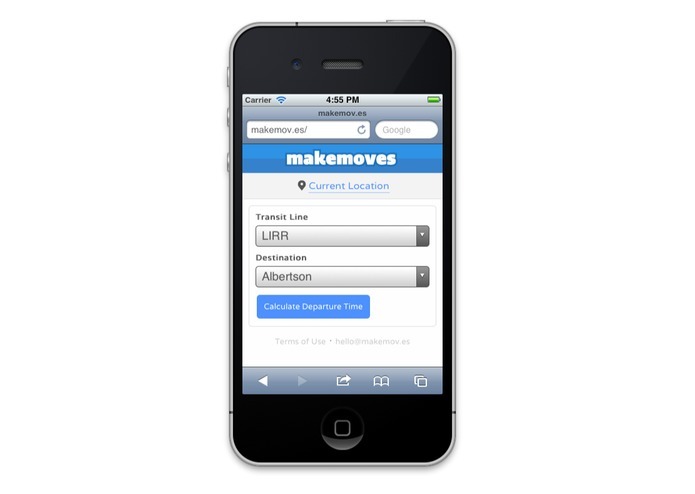 makemoves is the easiest way to plan your trip home on an NYC commuter rail. We determine when you should leave your current location so you can get to Penn Station or Grand Central in time for your next train, without a major layover. 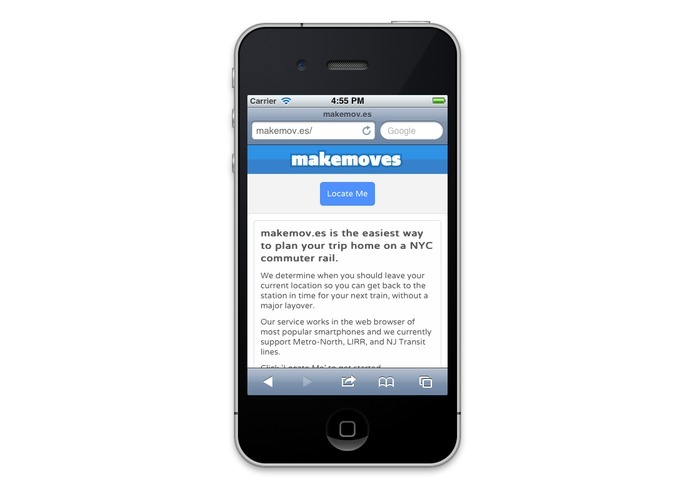 Our service works in the web browser of most popular smartphones and we currently support Metro-North and LIRR lines. 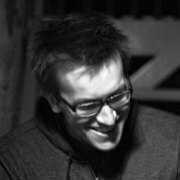 To get started, just visit www.makemov.es on your phone's browser.